When you need the best A/C and heating services in Lewisville, you can depend on Cote’s Mechanical. Whether you need an HVAC system installed or an air conditioning unit repaired, our company offers top quality service. 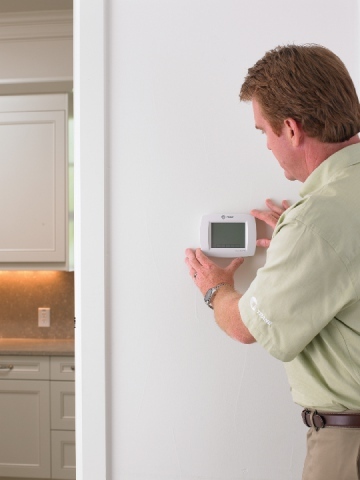 With technicians available at any time of the day or night, you won’t have to go without heating or cooling at your Lewisville home or business for long. Cote’s Mechanical provides heating and cooling installation, maintenance, repairs and other HVAC services to help you stay comfortable. At Cote’s Mechanical, our team of heating and cooling professionals is fully prepared to handle any HVAC problems you have or any installations you need. We offer prices that are competitive plus a free service call with all HVAC repairs. You can also rely on us for insulation and attic ventilation services, which are important for helping your home or business maintain a comfortable interior temperature. Give our company a call when you need any HVAC services for your residential or commercial property in Lewisville. Having the licensed professionals at Cote’s Mechanical handle your HVAC needs means that you’ll have heating and cooling that you can rely on – especially during the hottest part of summer and the coldest part of winter. Our experts take great care to provide exceptional service to all Lewisville residents, whether they’re installing a brand new HVAC unit or making repairs to one that isn’t working right. With our high-quality A/C and heating unit installation and repair, you won’t have to deal with a home or business that’s too cold or hot. Cote’s Mechanical offers other services as well, including routine maintenance for HVAC systems and replacements for equipment that’s outdated or not functioning. Our experts have the right knowledge to provide installation, repair, replacement, and maintenance services for all kinds of heating and cooling systems. We can help you find the right system for your building or repair and maintain the system you already have. 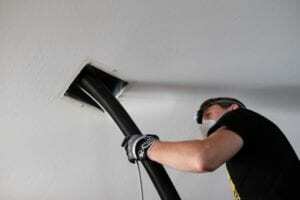 Cote’s Mechanical began offering heating and cooling services to customers in the Lewisville area in 2001. In the years that we’ve been in operation, owners Cote and Kristi Wyatt and our HVAC team have provided superior customer service for all installations, maintenance, repairs and other heating and cooling services. That dedication to high-quality service has resulted in an A+ rating from the BBB, a Super Service Award from Angie’s List, and many satisfied customers. Our online customer reviews illustrate how happy our customers have been with our service. These reviews mention the technicians at Cote’s Mechanical being highly professional and providing prompt service. Customers have been thrilled that our company has been able to get their HVAC system repaired or installed in a timely manner and at competitive prices. At Cote’s Mechanical, we have received certification as a Trane Comfort Specialist. This certification means that our company has met high standards of service on a consistent basis. The Air Conditioning Contractors of America (ACCA) has also provided us with accreditation. These certifications and accreditations show just how committed we are to providing all of our residential and commercial customers in Lewisville with exceptional customer service. Lewisville is home to around 106,021 people. The city provides easy access to Denton, which is about a 20-minute drive away via I-35E N. Dallas is about a 40-minute drive away via I-35E S, while Fort Worth is about a 45-minute drive away via TX-121 S.
Lewisville offers residents a wide range of local amenities and attractions. Residents can enjoy live theatrical performances at the Greater Lewisville Community Theatre, play a round of golf at Lake Park Golf Course, or watch a dance performance at LakeCities Ballet Theatre. Other attractions include Larue Vineyards, Lewisville Lake Environmental Learning Center, and Lewisville Saddle Club. The city also features community events, including the Western Days festival and Lewisville ColorPalooza. There are several ways for Lewisville residents to support the local community. Volunteer opportunities are available with Parks and Recreation, Neighbors Leading Neighbors, Keep Lewisville Beautiful, and Friends of the Library. Don’t let HVAC problems make your Lewisville home uncomfortable. Contact the experts at Cote’s Mechanical for service, and you’ll have reliable heating and cooling for several years to come. Whether you need installation, repair, or maintenance services for your HVAC system, we’re here to help. Technician was courteous, helpful and professional. Cut and cleared drain lines. System cooling properly. Bypassed faulty door switch that was kicking unit on and off. Added leak seal and 2 lbs of r22 Freon. Cooling properly. 1999 Goodman. Blown dual run capacitor.